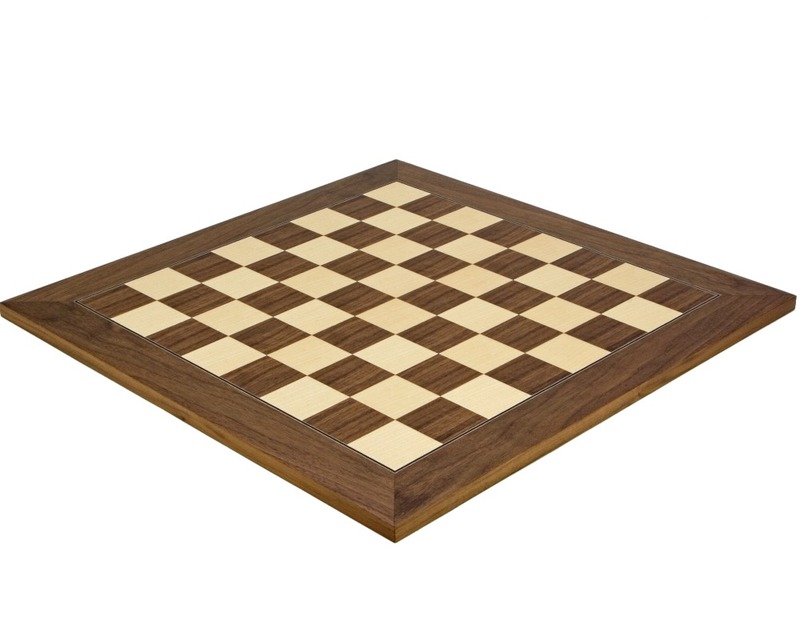 19.7 inch Deluxe chess board produced by renowned chess board maker Rechapados Ferrer of Spain. High grade Walnut and Maple veneered construction using modern fabrication techniques has produced a board with distinct lines and very critical detailing. Walnut is rich in tone and has very dense grain making it a particularly popular wood choice for modern interiors. The board's base is also veneered and is equally well finished. Perfect for accompanying with chess piece king heights of 3.5 inches. 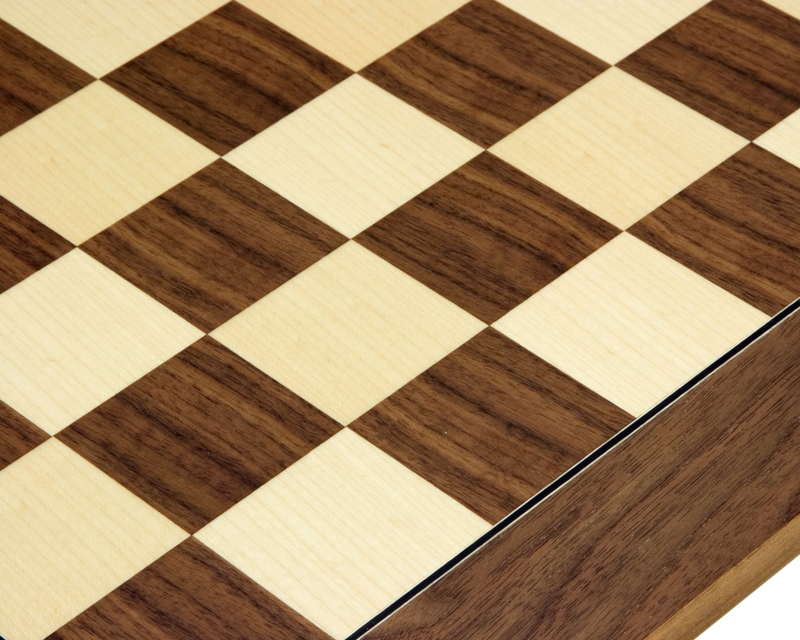 "A really lovely chess board, well made and a joy to admire and to use. As with the other items I received, it came very well packaged and protected. It will no doubt give me years of pleasure." "Lovely board, no flaws at all, prompt delivery. My first purchase from this company, I am very pleased." "A gorgeous board with a flawless finish. The squares are perfectly smooth and the black binding around the edge of the squares really sets them off beautifully." 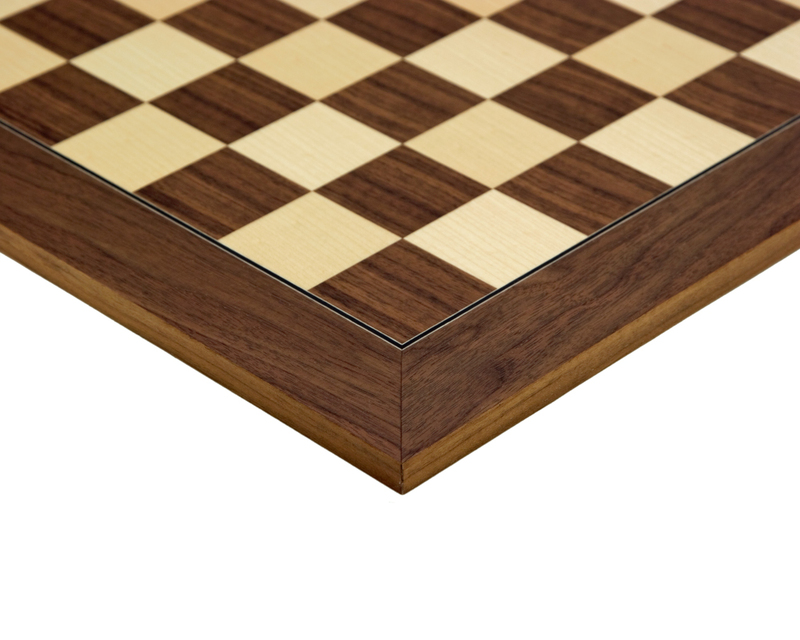 "This is a beautiful board and the finish is perfectly smooth. The wood grain looks superb. My only criticism would be that one of the corner joins does not perfectly line up with the corner of the board but it is only out by approx. 1mm. 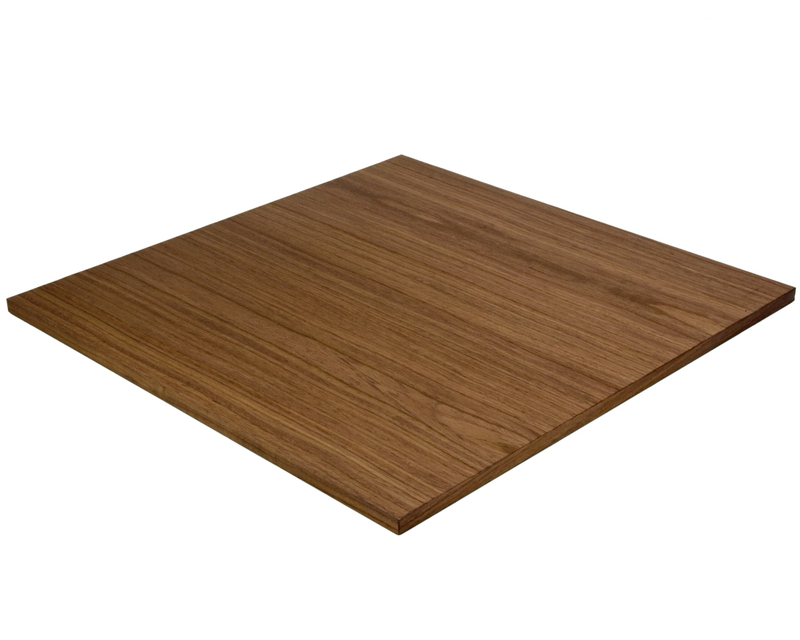 I have seen this with other veneer boards and at this price I do not mind. Everything else is of superb quality."